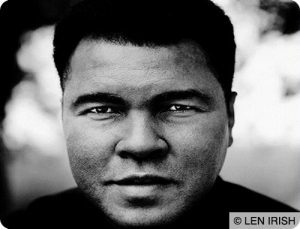 June 04, 2016 – San Diego, California – Sepsis Alliance joins with billions of people around the world in mourning the death of Muhammad Ali, the boxing legend known as “The Greatest.” Ali, who had been battling Parkinson’s Disease since his diagnosis in 1984, has died from septic shock due to unspecified natural causes after having been admitted to a Phoenix-area hospital five days ago due to respiratory issues. Ali’s official cause of death was disclosed today by a spokesperson for the family. Sepsis Alliance extends its deepest condolences to the entire Ali family during this difficult time of loss. A three-time heavyweight boxing champion of the world, Ali has been considered to be the most famous person in the world. An activist and sports icon, Ali inspired many by openly sharing his struggle against Parkinson’s Disease with the public. His lighting of the Olympic flame in the opening ceremony of the 1996 Olympic Games in Atlanta is regarded by many as one of the most iconic images of all time. Sepsis, the body’s overwhelming and life-threatening response to infection which can lead to tissue damage, organ failure, and death, is a medical emergency that requires urgent attention and rapid treatment for survival. Sepsis Alliance’s web site, sepsis.org, provides information about the symptoms of sepsis, which kills 258,000 Americanseach year. Despite its prevalence, sepsis has remained unknown to a majority of American adults. According to the annual Sepsis Alliance Awareness Survey, the recognition rate among U.S. adults is only 44 percent, causing many patients with sepsis to go untreated.